Thank you to all those who either attended the 2017 Soy & Tofu Festival or helped run it! We could not have held the festival without you, and we hope you had a fun time celebrating the joy of tofu. Here is a retrospective video created by the Nichi Bei Foundation that recounts the fun throughout the day. Thanks for being a part of the Soy & Tofu Festival, and we hope to see you next year! Click below to check out the Program Booklet for the Fifth Annual Northern California Soy and Tofu Festival! Help us take a bite out of Festival expenses today! Support our IndieGoGo campaign! And help us raise funds to cover growing Festival expenses. 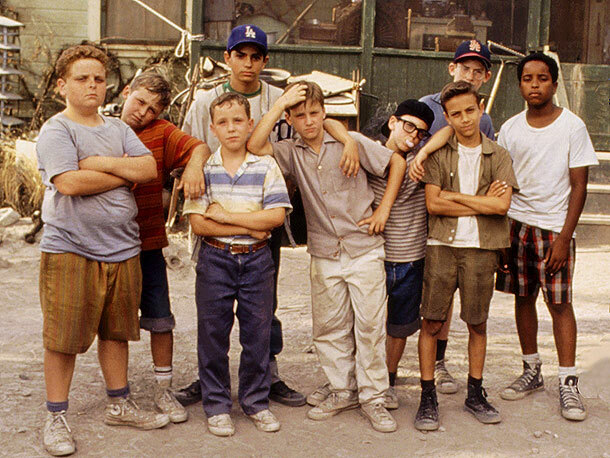 Today marks the 20th Anniversary of the Sandlot, one of the greatest kids movies of all time. 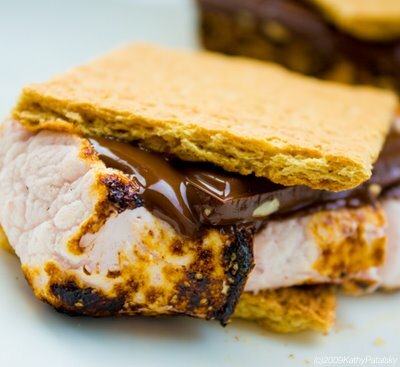 To celebrate, we’re recreating the perfect s’more (as taught by Ham Porter), with one little substitute: vegan marshmallows! 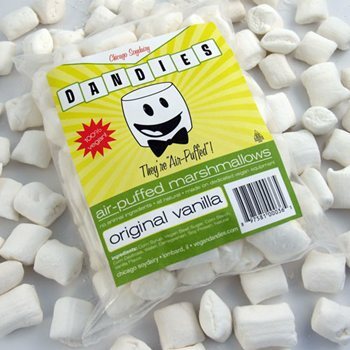 We love Dandies original vanilla vegan mallows — packed with soy protein. Pair with your preferred graham and chocolate, and you’re ready to go! 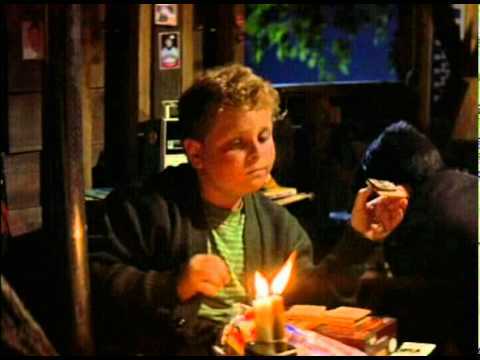 Ham Porter: Hey, you want a s’more? Ham Porter: No, do you want a s’more? Smalls: I haven’t had anything yet… so how can I have some more of nothing? Ham Porter: You’re killing me, Smalls! Now Accepting: Soy & Tofu Dessert Applicants! Do you have a special dessert recipe that has your friends saying, “I can’t believe it’s soy!”? Then we want to taste it! We’re looking for the best soy and tofu dessert recipes to be featured at the VIP Reception and the Soy and Tofu Festival. 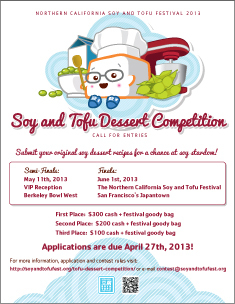 The Grand Prize winner will receive $300 cash, a festival goody bag, a $20 gift card to Berkeley Bowl, a feature Nichi Bei Weekly and the Soy and Tofu Festival program, and be given the coveted title of “2013 Soy and Tofu Dessert Master”! Second and Third Place Finalists will also receive cash prizes and a festival goody bag, and all semi-finalists will receive a $20 gift card to Berkeley Bowl. Both the festival and dessert competition will be covered by NBC Bay Area, KTSF and a variety of Pan-Asian media, making it excellent publicity for amateur and professional patisseries alike. For more details about the competition, please review the Competition Rules. Start cooking, baking, and mixing now! The deadline for submissions is April 27, 2013.